Agents Dillon Savich and Lacey Sherlock must protect the life of a young political speechwriter in this New York Times bestseller in Catherine Coulter’s FBI Thriller series. 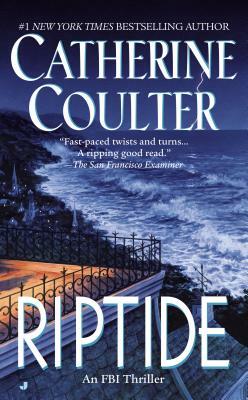 FBI special agents Savich and Sherlock are in Riptide to help out an old friend of Savich’s father, and soon become embroiled in Becca’s deadly situation. But as enemies new and old circle closer, time is running out for them all.